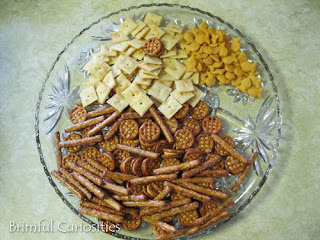 In preparation for Independence Day, we made a fun 4th of July snack using crackers and pretzels. 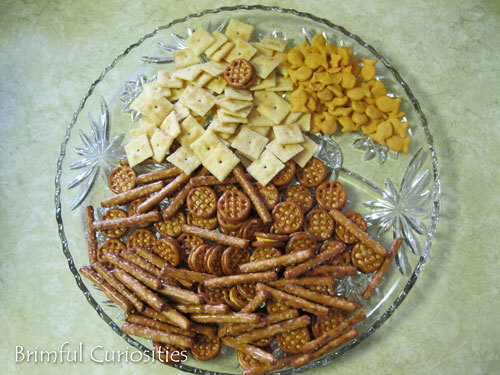 This eagle cracker mosaic is a relatively healthy treat to take to an 4th of July party. 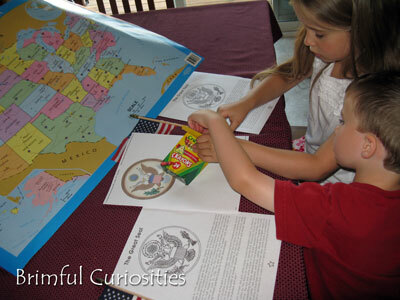 Since 1782 the bald eagle has been a national symbol of the United States. 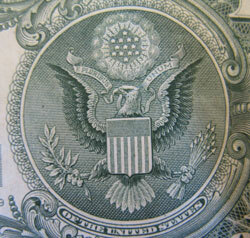 On the front of the Great Seal, the eagle is shown clutching an olive branch in the right talon and a bundle of thirteen arrows in the left talon. This unique design represents the power of peace and war. I took some time today to discuss the symbolism of the eagle with my kids, in particular, the eagle's depiction on the Great Seal. We used the back of a U.S. one-dollar bill for reference. Obviously much thought and planning went into the design of this U.S. seal and the process took six years. Many variations were submitted to Congress, and the eagle was not the focal part of the originally submitted design for the seal but was ultimately prominently featured in Charles Thomson's design in 1782. 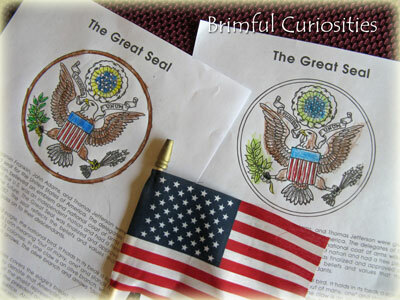 I found an image for the kids to color that shows the front of the Great Seal on page 7 in the Symbols of the U.S. Government pdf booklet. Relating to eagles and the U.S., one famous bald eagle in American history is Old Abe, the mascot of the 8th Regiment of Wisconsin Volunteer Infantry during the Civil War. The mighty eagle accompanied the regiment during various battles from 1861-1864 and was later kept at the Wisconsin State Capitol until his death in 1881. Enchanted Learning - The Great Seal of the U.S.A.